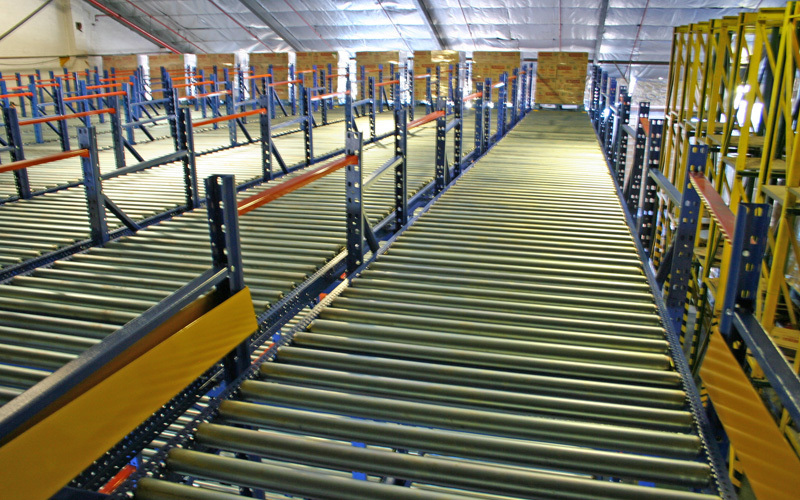 Pallet Flow Racking offer the benefits of high density storage, automatic stock rotation, fast efficient handling and simplified pallet selection. 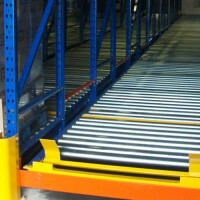 Pallets are stored on inclined tracks with rollers, which support and enable the pallet to roll from pallet deposit location to the picking face of the storage system. 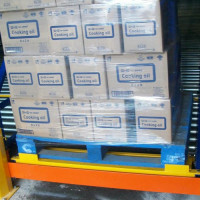 When a pallet is removed, the pallet immediately behind replaces its position, ensuring automatic stock rotation. 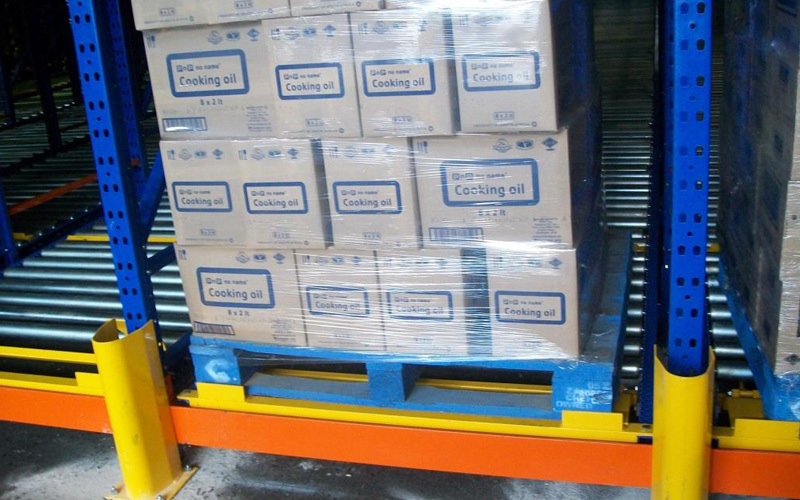 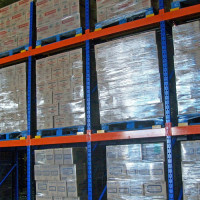 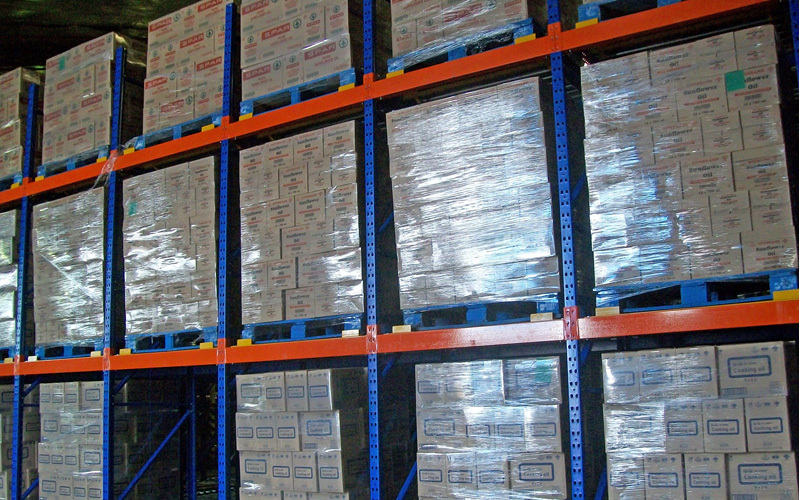 Pallet Flow Racking is ideal for food and perishable items and eliminates the need for urgent pick face replenishments, providing a ‘first in’ ‘first out’ stock rotation. 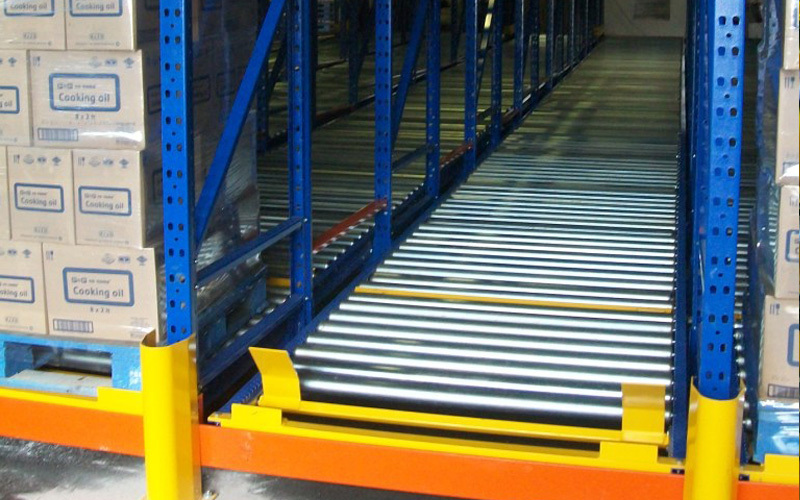 Bays can be made in lengths to suit various warehouse applications. This system is designed for your specific storage application.